Make your nominations (and self-nominations) for the annual journal article award from the Food Safety and Nutrition Section (FSN) of the Agricultural and Applied Economics Association (AAEA). To recognize excellence in research endeavors that advance knowledge of the economics of food safety and human nutrition, the Food Safety and Nutrition Section of the American Agricultural Economics Association (AAEA) is pleased to invite nominations for the 4th Annual Award for the Best Economics Paper in the areas of food safety and human nutrition. Theoretical and applied research papers are equally acceptable. Reviewers will look for innovative original research with a high impact. Authors do not need to be members of AAEA or the Section to be considered. In order to be eligible, a paper must have been published in an English-language peer-reviewed journal with a publication date of 2008. Nominations, including self nominations, should include a copy of the paper and a brief letter of nomination highlighting the contribution of the piece. Electronic nominations (with a pdf version of the paper) are preferred. 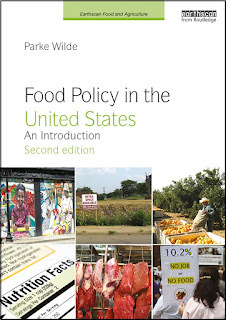 The award and plaque will be presented to the winning author(s) during the Food Safety and Nutrition Section meeting at the 2009 annual meeting of the AAEA with the American Council on Consumer Interests in Milwaukee, WI, July 26-28. The deadline for nominations is April 10, 2009. The new announcement will be posted shortly to the section website, but, if you are getting an early start, the address for submissions is the same as last year (.pdf).